Incredible discussion on Bloomberg this week with Nassim Taleb, best selling author of "The Black Swan," on the current banking system. In simple terms, they took their $1 trillion+ in deposits, American's savings accounts, and combined them with their $75 trillion toxic derivatives portfolio. This now makes their derivatives portfolio stronger by backstopping future losses with the capital of American savings, and it allows them to continue making even larger bets. They are paid per transaction, like a real estate agent, so the larger the derivatives portfolio, the larger the annual bonuses. Some of these $75 trillion in derivatives are Credit Default Swaps (a recurring topic here on this site), insurance that they have issued against any losses in European sovereign debt. If anything goes wrong, the FDIC (which also has no money) guarantees the deposits of Americans. Who backstops the FDIC? The US government, also known as the US tax payer. The FDIC is outraged over the move, but it had the blessing of the Federal Reserve and Ben Bernanke. Well played chess move by Bank of America. We can only hope that those making these decisions, and the politicians that back them, some day get what they deserve. What does this mean? Let's go back to the example I gave over the weekend in, Enter Greece CDS: The Fork In The Road, using homes on the coast of Sanibel Island to make the discussion easier to understand. A "naked" purchase of CDS means that you do not own the underlying asset. You are simply speculating that it will fail. You make a $300 monthly payment every month, ($100 for each home) and if a hurricane never comes through, you never collect. But if the homes are destroyed, you collect all the money needed to bring them back to full value. Now imagine the government caught on to your "sinister" ways of making money off these poor people whose homes were ruined. You go home for dinner and think about if there is any other way to bet against the value of these homes. "Aha," you have it. You knock on a home owner's door that has a for sale sign in his front yard and tell him you have a proposition. You tell him that you want to borrow the full price he has his home listed for, and that you will pay him back when he sells his home. However, you will only pay him the price he sells it for. Believing that his home is undervalued, he takes you up on this bet. This is the equivalent of shorting the debt of European countries. Now that the "evil" speculators cannot bet against government debt in the derivatives market, they are going to focus all their attention on the actual debt. They will borrow bonds today and tell the government they will give them back at the future price. If the price of the home on Sanibel Island is sold below the asking price, you get to keep the difference. If the price of the European bond sells for less in 2 months than what an investor borrowed it for today, they get to keep the difference. As discussed in previous CDS analysis, every government action has a market reaction. Watch the bond yields closely over the next few weeks. (Spain was just downgraded as I type this) I will continue to update the spread of the contagion as we move forward. The funding of the Greek deficit has now been removed from the private sector as investors clearly see that the country can never pay back its debt. The country now runs its day to day operations on rolling bail outs provided by the other countries in the European Union (tax payers), the IMF (tax money from countries around the world), and the European Central Bank (printed money). This is what lies ahead for Greece (if they are not bailed out forever), and it will be a terrible time for those that stay. This is then what lies ahead for Portugal, Ireland, Belgium, Italy, Spain, Japan, the UK, and the United States. Probably in that order. These countries spent their future with borrowed money, had an incredible time, and now the bills are due. What fascinates me today is that Greece, hanging by the thread of a foreign safety net, is still refusing to make drastic spending cuts. A politician will not cut spending and threaten to take away any form of free money unless someone enters to room, puts a gun to their head, and forces him or her to do it. With that understanding we can now look ahead at the 2012 American Presidential election. We know what is coming for the United States (a few years down the road). But if a Greek politician, in the face of certain disaster will not cut spending, why would an American politician today when our bonds are traded at the lowest rates in history? When investors are still stupid enough to lend us money? But, for those out there who like to hold on to the hope, the possibility that the right thing could happen, I present an interview with Ron Paul this morning, discussing what should be done, unfortunately not what will be done. The real problem facing the European Union and the global financial system is not the amount of debt that would have to be written down after a Greek default, but the insurance payments that would be triggered if the debt were to enter default status. I discussed this concept in detail in The Real European Crisis Explained. European leaders now understand that some sort of Greek write downs are going to be needed but the firm solution has evaded them thus far. The biggest reason is the CDS situation discussed above and how to handle it. There are two ways to deal with the solution. The first would be to trigger write downs, or a "hair cut," on Greek debt and let the chips falls where they fall. This was the technique used by our government for the Lehman bankruptcy. The bank declared on Sunday morning, and the global financial markets woke up the next morning holding their breath. 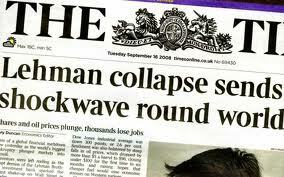 What happened next is that we found out who was holding the "insurance" on Lehman's debt. It was a small unit of a large insurance company called AIG. After a few telephone calls we then found out that AIG had no capital reserves to pay this insurance and the rest was history. Option two would be a new strategy. The CDS instrument is special in that it takes certain requirements to trigger the pay out. The details of what would trigger a default are beyond the scope of this discussion and are also irrelevant due to the situation I am about to describe. If the bail out crew in Europe was able to process a default on Greek debt without triggering the CDS payments it would be a perfect scenario right? Not exactly. There are always unseen side effects to actions taken in the financial markets, even if they are not immediately visible on the surface. Let me provide an example to explain why. I visit Sanibel Island every year with my family. 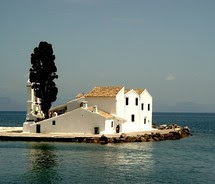 One day during the trip we drive to the edge of the island where many of the restaurants and beaches are located. Along this strip of the island there are lines of homes that are right on the edge of ocean. Even a small storm coming through would create major damage to the properties. So why would anyone purchase a home on this location? Because they can buy insurance. If you were making a decision to buy a home, you would weigh in the monthly cost of insurance premiums against the comfort you would have knowing that if damage were to take place you would be protected. Now, imagine that a small storm comes through providing serious damage to a large portion of the properties. The owners are sad and begin to fill out the paperwork in order to collect their insurance payouts and repair their homes. Then the government steps in and creates a loophole that would allow the insurance companies not to pay out. The immediate devastation is felt first by the home owners would made their payments every month and now were left with nothing. But there is a secondary effect. Imagine if you were now a home owner interested in purchasing a home on that street. If you knew that the insurance payment would not cover any damages for the property, how much money would you risk to purchase a home? The price of real estate on this island would collapse and demand may possibly disappear completely. Now let's come back to Greek bonds where the exact situation is taking place. What if the government found a loop hole and the insurance premiums were not paid? The initial investors who have been making their monthly premium payments would be devastated, but the real effect would be seen by the disappearance in demand in the open market for all European sovereign debt. This complete lack of incoming capital would be almost as devastating as the first option; the Lehman option. How we move forward from here is unknown, but it is important an as investor to be able to see both the immediate effects of policy decisions as well as the precession effects a few steps ahead.